Established in 1885, Worch Lumber Company in Versailles, Ohio began as a lumber and coal provider for much of Midwest Ohio. Located in the heart of Versailles, Worch Lumber Co. was conveniently constructed aside the railway system, the main transportation source for the lumber and coal supplies. Nearly all of Worchs supplies were delivered from around the country by steam locomotive. Delivery of all material to customers was transported by horse-drawn wagon until about the 1930s. As technology advanced, the railway system became obsolete for supply transportation and semi-trailers are now the quickest and most efficient transportation medium. Founder George H. Worch constructed the original lumber building facing Main Street, although, in 1901, a fire destroyed the entire structure. Worch quickly rebuilt, but this time in its current positions facing Steffin Street and began business with two lumber buildings. Since then, there have been three more lumber/steel buildings added and renovations are continual in order to keep with the growing market. Since the time of G.H. 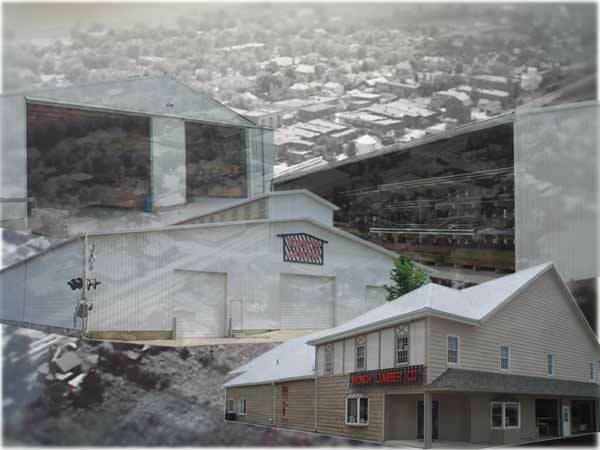 Worch, tradition of excellence through quality and service began as Worch Lumber Co. has proudly served Versailles and the surrounding area for over a century.